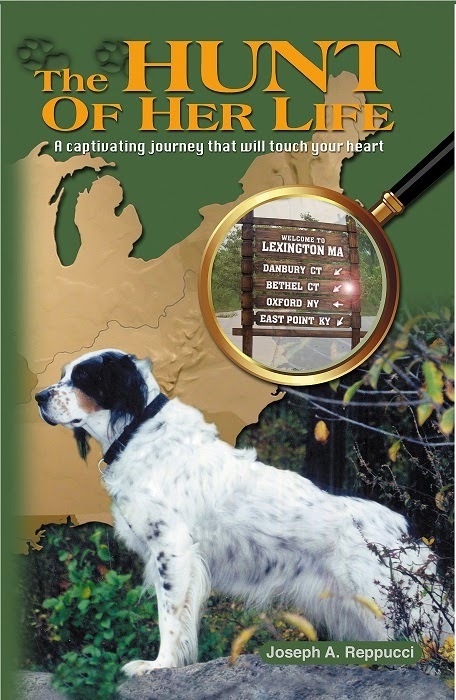 The Hunt of Her Life Original Book is a nonfiction book about Samantha, an unwanted rescue dog who the author adopts at age 2. This beautifully designed full-color deluxe book, by longtime newspaper journalist Joseph A. Reppucci, contains more than 60 vibrant color photos of dogs to help illustrate the compelling and uplifting of Samantha - a pretty tricolor bird dog who uses her warm personality to win people over and build a new family after being put up for adoption by a hunter because she is gun-shy and afraid to hunt. Learn how she uses her special bonding abilities with people to help her eventually make a difficult, but successful, transition to family life.